Welcome to part thirteen of our ‘Christmas Gift Guide’. I’ve officially started my Christmas shopping now. I am always a bit caught up between wanting to be organised and just feeling it’s all a bit too early, but I have even wrapped a few things now – mainly to avoid little straying eyes I have to say. One of the children is totally obsessed with dinosaurs at the moment. I’ve started to hunt out all the dinosaur related things that could be presents this year and fortunately there does seem to be quite a lot around. I’ve already shared some wonderful model dinosaurs on the blog and I am certainly going to be stocking up on those. There are also some lovely dinosaur books that teach little ones the different types of dinosaurs, so I am trying to decide which one of those I like the best. The very exciting news for all little dinosaur fans is that the new Disney Pixar film is ‘The Good Dinosaur’ will be released in the UK at the end of November – here is the trailer for a little tease – he is so cute! With any great film comes heaps of merchandise of course and this film is no exception. There are things like this giant floor puzzle by Ravensburger which are great fun to do as a family or for older siblings to help younger children with. These are chunky pieces, which are ideal for little hands to hold and a perfect gift for a little dinosaur fan. 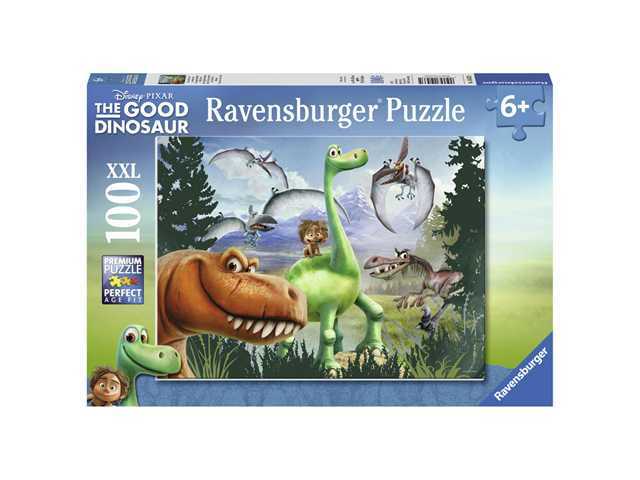 You can also get this puzzle for slightly older children, again the quality is superb but I’d recommend doing this one on a table or other hard surface and little ones can become frustrated if you try an put it together on carpet. I love the colours and images in these puzzles and now we can’t wait to see the film! 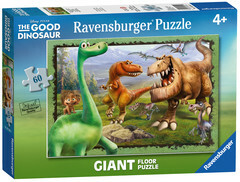 Ravensburger is synonymous with puzzles and jigsaws for me. The images are lovely and the puzzles stand the test of time…and little people! Puzzles are always great, love joining in with my children.